"History doesn't repeat itself, but it does rhyme". Contrary to popular belief Mark Twain probably didn't actually say that, but the sentiment itself holds truth. And it applies absolutely to F1. It may seem absurd to draw parallels between the expressive arrivistes of Red Bull and the aristocrats of Mercedes, but there are a good few in there, and not just because the torch of F1 dominance was passed directly from one to the other. The Merc squad learnt the lessons from the extended reign of the Milton Keynes squad that came before its own. Like Red Bull it constructed a well-resourced yet nimble organisation with plenty of technical excellence and focused entirely on making F1 cars go quicker. Like Red Bull it saw the opportunity with a big regulation change to vault to the front. And then - in something that perhaps is the most impressive element of the lot - was able to maintain its advantage with almost continuous incremental improvement. Unlike Red Bull it benefits too from clearly the sport's sweetest engine, and one made in-house. But very much as was the case for Red Bull, its pursuers - with all of their changes, posturing and grand proclamations year upon year - don't seem to get any closer to answering the big question of how to topple them. The opening 2016 pre-season test in Barcelona didn't provide many answers either. On the contrary, the parallels with the same debut test outing of 12 months previously in Jerez were uncanny. Merc didn't trouble the top of the timesheets but it was clear it scarcely was trying to. In likely a more discriminating measure the car's mileage was extraordinary, to the point that just as in Jerez at least one rival muttered that the squad was "taking the mickey". Someone worked out that ten rounds, or half a season, was completed by the new mount in four days. And almost exactly like the opening test a year ago all came away with little doubt about who was on top. The Merc drivers looked oddly glum when unveiling the W07 on the opening morning, but by the end of the test they could hardly suppress their glee. 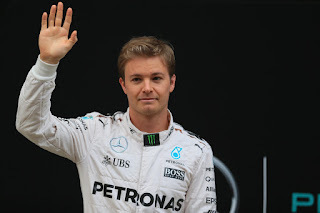 "Lap time-wise, it's not realistic where we are," said Nico Rosberg. "We haven't showed our cards, we're holding back, but the car is quick." All told it's the sort of swagger that could have come directly from the Bulls in their pomp. Merc's astonishing 2014 advantage was almost entirely maintained last year, even though the rise of Ferrari to be consistent best of the rest - as opposed to 2014's more rotating cast - gave the impression of a more consistent challenge. Points and wins were just about identical across the two seasons and reliability much better. And now just as was the case for 2015 it's the sort of advantage that cannot be lost in a season, short of the team almost consciously choosing to blast its own feet off. As Ted Kravitz noted at the test's conclusion, "the only way that Mercedes were going to get it wrong this year was to go down some kind of crazy development path that didn't work or be massively unreliable, and they haven't done either..."
With this Merc like Red Bull is possessed even with its the success of a healthy paranoia to stay ahead of the pack. This was on show in Barcelona too as it ran new parts with conspicuously greater regularity than anyone else. "We have a real innovation on the floor, it looks quite futuristic so we're very excited about that," Rosberg continued. "It's important for us to be innovative, you know, and to be always ahead of the others, 'cause it's easy to copy afterwards. So when they see the things on our car, they'll take them and they can go faster so we always have to be one step ahead". Last year too, possibly reflecting this, Mercedes ended the campaign with a slightly larger pace advantage on Ferrari than when it started it. The biggest question for Merc, and by extension for the season, is the extent that the resurgent Scuderia can get on terms this time. Even in 2015 it was in Sebastian Vettel's hands an irritant more often than Merc would have liked. But still the pace advantage remained a large one and even if Ferrari can make the same jump between seasons again Merc's cushion will remain comfortable, to provide some sort of historical context it would be similar to that of Red Bull in 2011 when it creamed the year. Perhaps a route in for the rest is if the two Merc drivers have a tight intra-team championship battle, something that, almost alone, the team hasn't always shown that much of an assured hand in dealing with. But it seems slim pickings. Time was that the back-to-back F1 title hardly happened. Because, the theory went, that with a championship won all would relent almost imperceptibly, which would total up to a great enough extent to let others usurp them. But that was another age - modern F1 is the time of the extended reign at the top. Red Bull had one. Mercedes is having one now. Another season in the best car, running at or near the front, and with multiple race wins claimed. And yet somehow Nico Rosberg retains his enigma status. Indeed in 2015, somehow, the obfuscation got if anything a little less penetrable. For much of the year it looked like we had our answer at last of where he fits, though not a flattering one for Nico, as his Merc stable mate Lewis Hamilton did much to consign Nico to his long-expected box of being very much in the Englishman's shadow. There were exceptions, Spain and Austria most notably, but most of the time the German was off his team mate significantly in qualifying and while he could run close in the races you struggled to find many who thought other than that Lewis had the thing well under control. At times out of the car Nico seemed to be experiencing something like exasperation. But it wouldn't be Nico if he didn't then do something to throw us once again, and indeed he went on to not only win the final three rounds of the year but claim the final six pole positions, growing in stature and performance throughout. He even at times, particularly in a fighting drive in adversity in America spoiled by a late error, showed a lot of what Denis Jenkinson used to call the 'tiger', the flank of Nico's long considered his weakest. Quite why this happened continues to be a matter of fevered debate. Not all are convinced that Nico has indeed found something, but there was a theory around late last season that he'd had a eureka moment with his braking and turn-in. Though at the other extreme his detractors pointed out that it wouldn't be the first time he'd freed up and started to hit winners when the pressure was, in effect, off. Yet with this it at last seems inescapable that the early rounds of this season will do a lot to finally crack the Rosberg enigma code. One way or another. 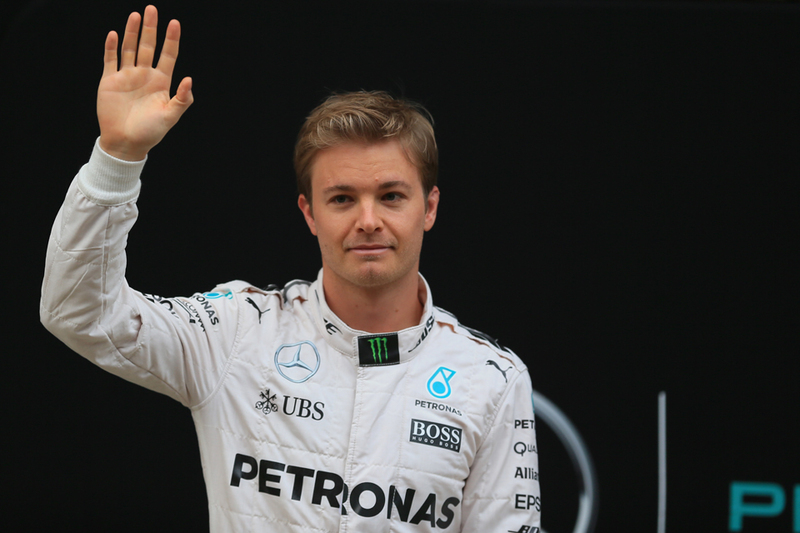 For Nico Rosberg's 2015 campaign, Lewis Hamilton's fits over it almost like a mirror image. Much of it was a tour de force on his way to a triumphant third title, but in the last gasps there was something of a falter as his team mate got the better of him. Yin and yang. 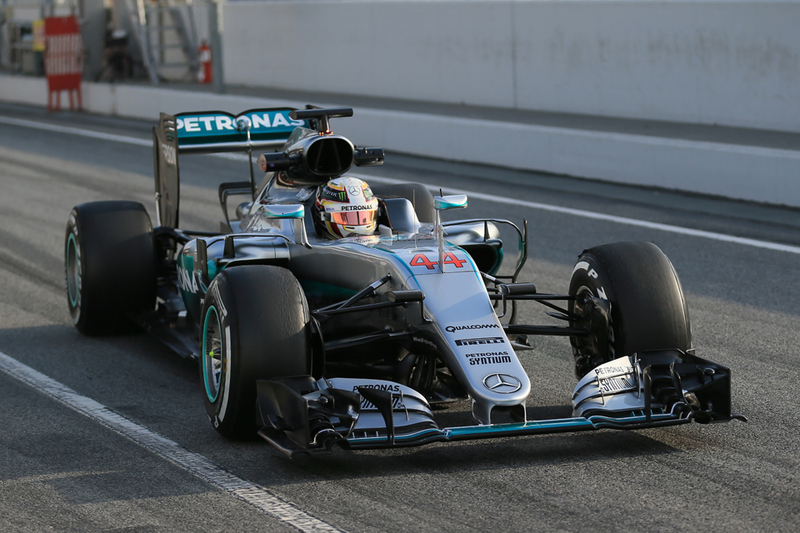 It nevertheless was a much easier triumph for Lewis than 2014's down-to-the-wire championship. With a self-confessed "small tweak" he sorted his curious 2014 qualifying bogey and then some. And the about as curious tendency for technical misfortune left him too. But the man himself noted the difference with last year also owed to the assurance of having that 2014 championship to his name - not for nothing did Lewis state that his second title won then actually felt a lot like his first, given it was his first subsequent to fleeing the nest from McLaren. Finally too Lewis appeared to have a contentment in himself, his role in the sport as well as that more broadly, which reflected in his driving. Everything was coming into focus. Winning poles like Senna - Nico often was plain bewildered by Lewis's qualifying pace - and then controlling races like Stewart, for two-thirds or so of the campaign many spoke finally of him making the best of his undoubted speed, talent and willingness as a racer to become a complete performer. An erratic race in Hungary seemed just a blip, albeit one redolent of his bad old days. His crown was wrapped up well ahead of time. Ironically it was only after this that conspicuous doubts re-entered. He lost out to his team mate in each of the three remaining races and indeed Nico had already established some momentum on him by taking pole in the three rounds which preceded that too. Of course everyone had their theory on this. 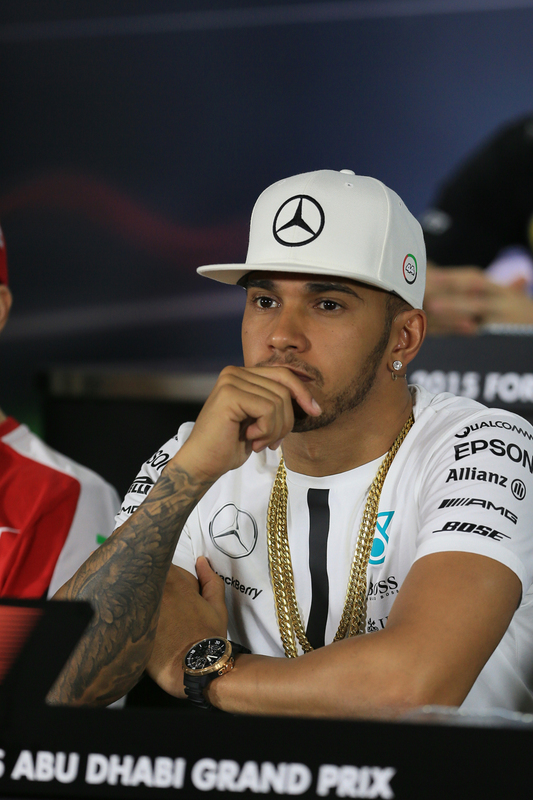 Had Lewis with the title won, relented? Was his hectic life away from the track catching up with him? Lewis himself spoke of a technical change to the car from Singapore related to the change of tyre pressure rules. This campaign should provide most of the answers on what actually was going on, but Lewis like his team remains the one who the smart money is on.